This Privacy Notice describes how we collect, use, process, and disclose your information, including personal information, in conjunction with your access, use and interaction with the myPOS Social Media Accounts. We give utmost importance to the protection of personal data of our customers. In the following Privacy Notice, we shall provide you with the information required under art. 13 and 14 of GDPR. Where one of the abovementioned entities is specified as responsible Data Controller we inform you that the other entities specified above are acting as Data Processors of the Data Controller and vice-versa. The ultimate liability lies with the respective Data Controller and you should address all your questions to the respective Data Controller via the contact details specified below. You are informed that there are three general categories of information that is collected from you differentiated on grounds as defined by the Regulation 2016/679 and other applicable data protection national laws. 1.1 Information That We Collect In Order To Provide myPOS Social Media Services to You. We ask for and collect from you the following personal information when you interact with our Social Media Accounts. This information is necessary for adequate communication with you and in order to comply with the Terms and Conditions of any promotional events, which we may initiate. Without it, we may not be able to provide you effectively with myPOS Social Media Services in which you wish to participate or register for. Log data and device information. We may automatically collect log data and device information when you access and use the Social Media Services, in case we have installed a plugin such as Facebook Insights. That information includes, among other things: details about how you’ve used the Social Media content (including if you clicked on links to third party applications/posts/content), IP address, access dates and times, hardware and software information, device information, device event information, unique identifiers, crash data, cookie data, and the pages you’ve viewed or engaged with before or after using the myPOS Platform. We collect this information in relation to our legal obligation to provide you with secure methods of controlling your financial assets and your personal data. Information about mentions/tags and other similar. Information about content of your posts/mentions or other similar opinions, posted on our Social Media Accounts/Walls and other similar public forums. You may choose to provide us with additional personal information in order to obtain a better user experience when interacting with our Social Media Services, or in order to participate in some of our promotional events, give-aways, or similar. This additional information will be processed based on your consent, only for the abovementioned purposes. 1.3 Information We Collect from Your Use of the myPOS Social Media Services. When you use our Social Media Services, we may collect information, including personal information, about the services you use and how you use them. This information is necessary given our legitimate interest in being able to provide and improve the functionalities of our Social Media Services. Usage Information. We collect information about your interactions with myPOS Social Media Services such as your usage of any Apps or Functionalities, and other interactions with our Social Media Services. The legitimate interests that we pursue with this processing is collection of usage reports and other statistical information, which helps us improve our social media presence. Please be advised that when you use our Social Media Services, we automatically collect some of the personal information described in the sections above such as Usage Information, Cookies and Similar Technologies. We use, store, and process information, including personal information, about you to provide, understand, improve, and develop our Social Media Services, create and maintain a secure environment, pursue our legitimate interests and comply with our legal obligations. Enable you to access and use our Social Media Services. Enable you to communicate with other clients. Operate, protect, improve, and optimize our Social Media Services and your experience, such as by performing analytics and conducting research. To operate, protect, improve, and optimize our Social Media Services experience, and personalize, customize your experience, introduce you to our other Services, we conduct profiling based on your interactions. Detect and prevent spam, abuse and other harmful activity. Send you promotional messages, marketing, advertising, and other information related to our products and the products and services of unaffiliated businesses that may be of interest to you based on your preferences and social media advertising through our Social Media Services. To provide you with location-specific options, functionality or offers if you elect to share your Geolocation Information through the Services. We will use this information to enhance the security of the myPOS Service and provide you with location-based Service, such as advertising, search results, and other personalised content. Personalize, measure, and improve our advertising. Administer referral programs, rewards, surveys, sweepstakes, contests, or other promotional activities or events sponsored or managed by us or its third-party partners. For participation in games, quizzes and completion of questionnaire or a contest entry form for promotional campaigns. We process this information given our legitimate interest in improving our Social Media Services, protecting our Social Media Services, to measure the adequate performance of our contract with you, comply with applicable laws, and where it is necessary for the adequate performance of a relationship with you or where applicable, given your consent in undertaking marketing activities to offer you products or services that may be of your interest. Where the processing is based on consent, you have the right to opt-out from processing your personal information for those purposes by withdrawing your consent at any time and free of charge. 3.1. With other members of the myPOS Europe Ltd. corporate family: We may share your Personal Data with members of the myPOS Europe Ltd. Group of companies or within our extended family of companies that are related by common ownership or control, so that we may provide the services you have requested or authorised or to manage the risk, or to help detect and prevent potentially illegal and fraudulent acts and other violations of our policies and agreements and to help us manage the availability and connectivity of our Social Media Services. 3.2. With third party service providers: We may share personal information with third party service providers that support us in providing our Social Media Services with functions at our decision and on our behalf. These providers have limited access only to your information necessary to perform the tasks for which they were contracted for on our behalf and are contractually bound to protect and to use it only for the purposes for which it was disclosed and consistent with this Privacy Notice. In addition, we may provide aggregated statistical data to third-parties, including other businesses and members of the public, about how, when, and why users visit our website and services. This data will not personally identify you or provide information about your use of our Social Media Services. We do not share your Personal Data with third parties for their marketing purposes without your consent. 3.5. Aggregated Data. We may also share aggregated information (information about our users that we combine together so that it no longer identifies or references an individual user) and other anonymized information for regulatory compliance, industry and market analysis, demographic profiling, marketing and advertising, and other business purposes. We may monitor or record emails, web chat or other communications with you for regulatory, security, customer services or training purposes. You may exercise any of the rights described in this section before the respective Data Controller by sending an email. Please note that we may ask you to verify your identity before taking further action on your request. Please note that upon receipt of your e-mail we shall try our best to provide you with the requested information and resolve your request in reasonable time, subject to all obligations which we or the related companies have under the applicable laws. information about the existence of, and an explanation of the logic involved in, any automated processing. Additionally, you may request a copy of the personal data being processed. 4.2 Rectification of Inaccurate or Incomplete Information. You have the right to ask us to correct inaccurate or incomplete personal information concerning you (and which you cannot update yourself via your online access to our Social Media Services). 4.3 Data Access and Portability. have your personal data transmitted directly between controllers without hindrance. In some jurisdictions, applicable law may entitle you to request copies of your personal information held by us. 4.4 Data Retention and Erasure. We may retain some of your personal information as necessary for our legitimate business interests, such as fraud detection and prevention and enhancing security. Because we maintain our Social Media Services to protect from accidental or malicious loss and destruction, residual copies of your personal information may not be removed from our backup systems for a limited period of time. 4.5 Withdrawing Consent and Restriction of Processing. Where you have provided your consent to the processing of your personal information by us you may withdraw your consent at any time by changing your Account settings or by sending a communication to us specifying which consent you are withdrawing. Please note that the withdrawal of your consent does not affect the lawfulness of any processing activities based on such consent before its withdrawal. Additionally, in some jurisdictions, applicable law may give you the right to limit the ways in which we use your personal information, in particular where (i) you contest the accuracy of your personal information; (ii) the processing is unlawful and you oppose the erasure of your personal information; (iii) we no longer need your personal information for the purposes of the processing, but you require the information for the establishment, exercise or defence of legal claims; or (iv) you have objected to the processing and pending the verification whether our legitimate grounds override your own. In some jurisdictions, applicable law may entitle you to require us not to process your personal information for certain specific purposes (including profiling for marketing purposes) where such processing is based on legitimate interest. If you object to such processing we will no longer process your personal information for these purposes unless we can demonstrate compelling legitimate grounds for such processing or such processing is required for the establishment, exercise or defence of legal claims. Please note that Data Controllers which are regulated financial institutions, such as credit institutions, E-money institutions or similar are obliged under AML laws to make risk profiling of their customers upon opening of the relationship and constantly during the relationship and this is a legitimate reason. In case you do not wish us to process your personal data for certain specific purposes, which are legitimate purposes to us, you shall have to close your account or we may have to stop providing you some or all of the Services, subject to all conditions for the closing of the account, specified above in this Section. Where your personal information is processed for direct marketing purposes, you may, at any time ask us to cease processing your data for these direct marketing purposes by sending an e-mail to the contact e-mails below. 4.7.2 Competent Regulator. In case you are not satisfied with the reply or resolution of the respective Data Controller, you have the right to lodge complaints about the data processing activities carried out by us before the competent data protection supervisory authorities as described below. To facilitate our global operations we may be required to transfer, store, and process your information within our family of companies or with service providers based in Europe, India, Asia Pacific and North and South America. 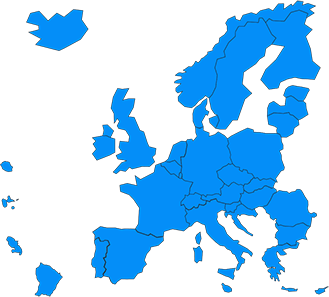 Laws in these countries may differ from the laws applicable to your Country of Residence. For example, information collected within the EEA may be transferred, stored, and processed outside of the EEA for the purposes described in this Privacy Notice. Where we transfer store and process your personal information outside of the EEA we have ensured that appropriate safeguards are in place to ensure an adequate level of data protection. 6.1 EU-US & Swiss-US Privacy Shield. Where we disclose any of your collected personal information outside EEA to USA (if applicable), we shall comply with the EU-US Privacy Shield Framework and the Swiss-US Privacy Shield Framework and any other adequacy decision. 6.2 Other Means to Ensure an Adequate Level of Data Protection. In case personal information is shared with corporate affiliates or third-party service providers outside the EEA in absence of an adequacy decision, we have – prior to sharing your information with such corporate affiliate or third-party service provider – established the necessary means to ensure an adequate level of data protection. We will provide further information on the means to ensure an adequate level of data protection on request. We take the responsibility to ensure that your personal information is secure, kept in an encrypted from on servers, collocated in Special data centres in Class A jurisdictions in Europe. To prevent unauthorized access or disclosure of information we maintain physical, electronic and procedural safeguards that comply with applicable regulations to guard non-public personal information. Once you are logged into your Account, all internet communication is secured using Secure Socket Layer (SSL) technology with High-grade security Encryption (AES-256, 256 bit keys, certified by StartCom Ltd). We restrict access to your personally identifiable information only to employees who need to know that information in order to provide products or services to you. If you know or have reason to believe that your myPOS Account credentials have been lost, stolen, misappropriated, or otherwise compromised or in case of any actual or suspected unauthorized use of your myPOS Account, please contact us following the instructions in the Contact Us section below. While we are dedicated to securing our systems and Services, you are responsible for securing and maintaining the privacy of your password(s) and Account/profile registration information and verifying that the Personal Data we maintain about you is accurate and current. Our Social Media Services are not designed to individuals under the age of 18. We do not knowingly collect information, including Personal Data, from children or other individuals who are not legally able to use our Social Media Services. If we obtain actual knowledge that we have collected Personal Data from an individual under the age of 18, we will promptly delete it, unless we are legally obligated to retain such data. Contact us if you believe that we have mistakenly or unintentionally collected information from an individual under the age of 18. We reserve the right to modify this Privacy Notice at any time in accordance with this provision. 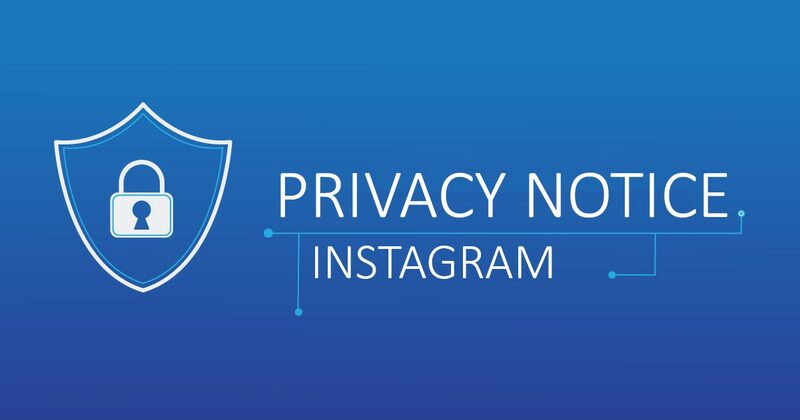 If we make changes to this Privacy Notice, we will post the revised Privacy Notice on our Social Media Platform Account. If you disagree with the revised Privacy Notice, you may cancel your Account. If you have any questions or complaints about this Privacy Notice or our information handling practices, you may email us from your registered e-mail for the Services to the e-mails stated above in Section 4.